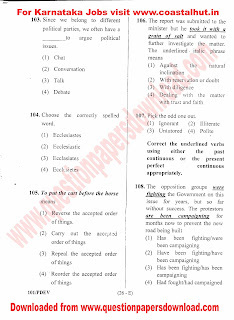 The General English Section Questions of PDO Examination held in the year 2011 from Question No. 91 to 120 is uploaded here. 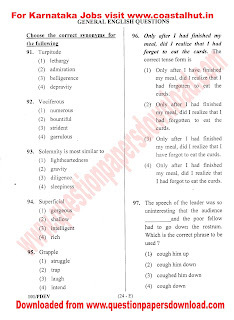 Click on the following files to download PDO General English Section Question paper- Page No 15 to 19.